Haven't got down to baking for a longgggg time and I got quite out of touch, but thankfully these cookies still turned out awesome! 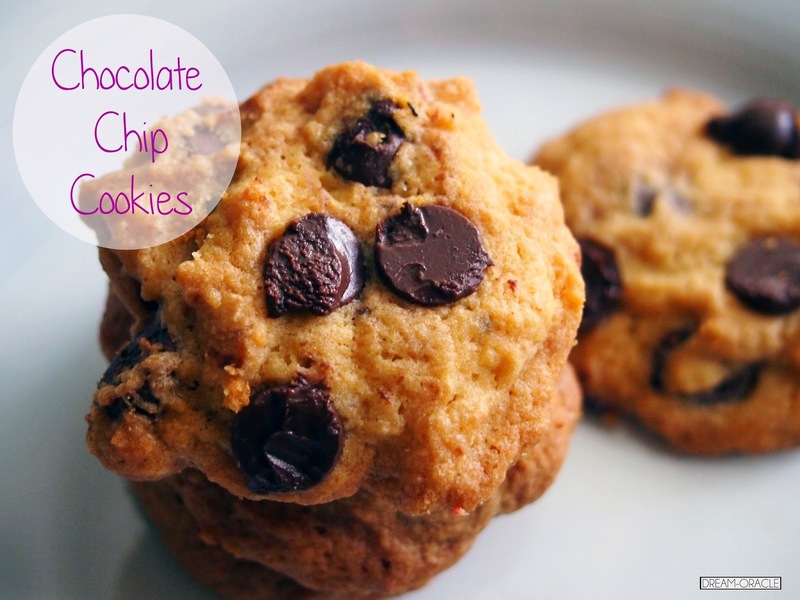 I added in a healthy dosage (lots and lots) of chocolate chips to further enhance the chocolatey taste. 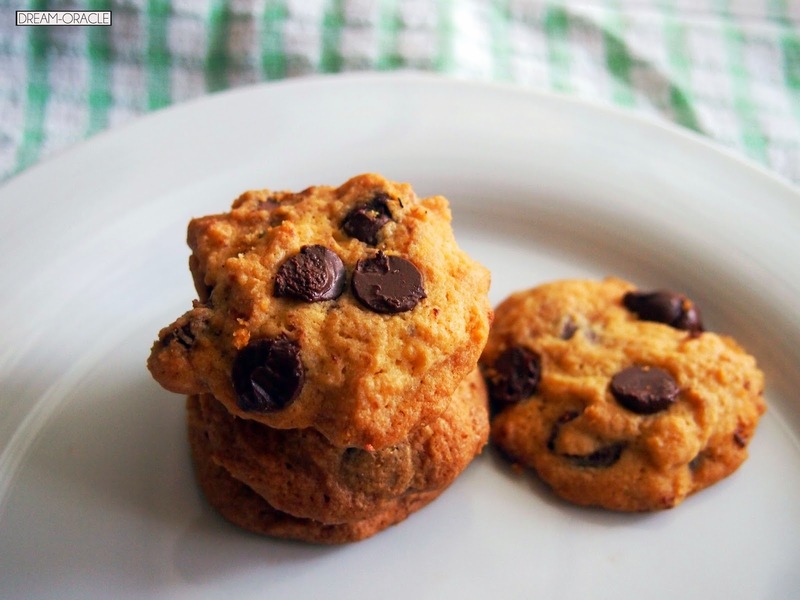 They are baked to a golden brown, you get slightly melty gooey chocolate chips at the top of the cookies. Yum. I popped one fresh out of the oven and couldn't stop! 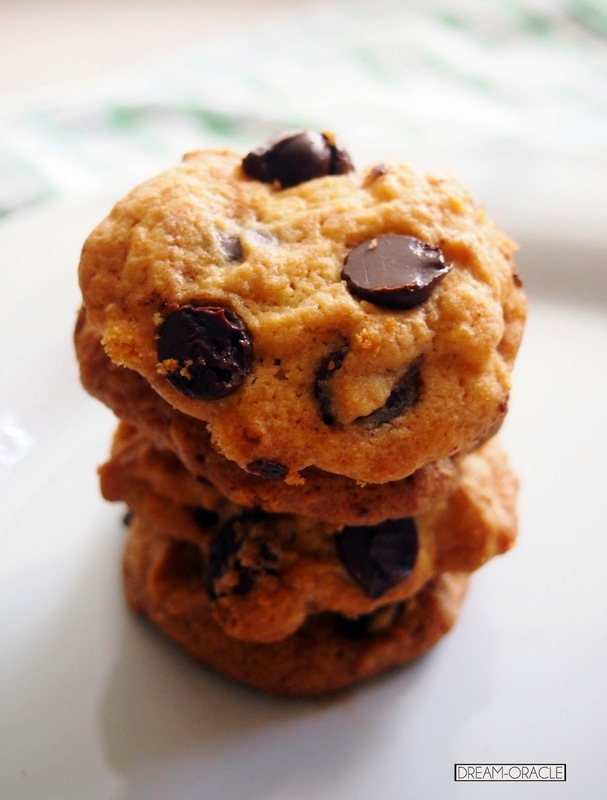 Nothing screams comforting as warm, gooey chocolate chip cookies!